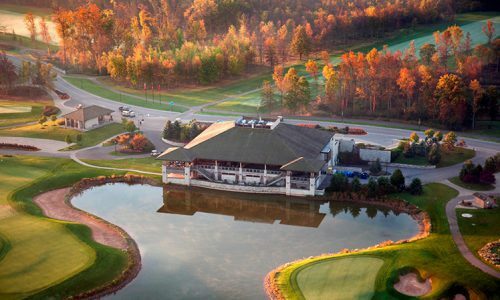 This holiday season, give the gift of golf with our 2-round golf pack for just $130 + HST, including power cart. 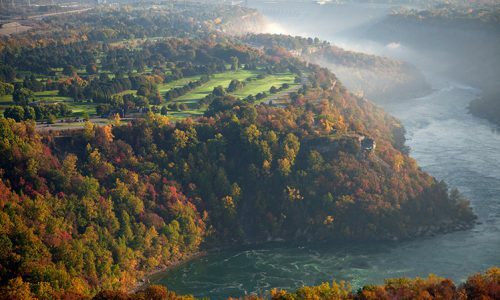 Each voucher can be redeemed at either Legends on the Niagara’s Battlefield or Ussher’s Creek 18-hole courses or Whirlpool Golf Course, on the edge of the stunning Niagara Whirlpool. Includes free shipping. 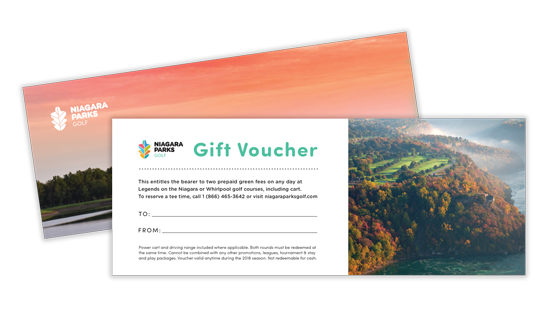 Each two-round voucher must be used at the same time and is valid any day of the week without restrictions. Free Shipping. Valid during 2019 season. 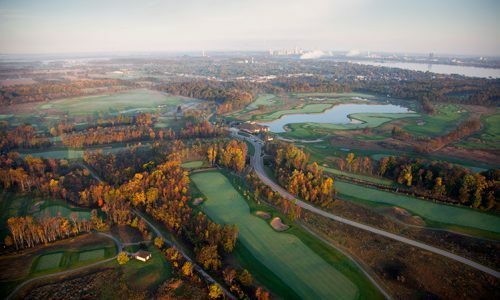 Host to the 2004 BMO Financial Group Canadian Women's Open, Battlefield features fairways that sweep across a gently contoured countryside paired with spectacular water features and impeccable conditioning from tee to green make this Douglas Carrick course a must play.